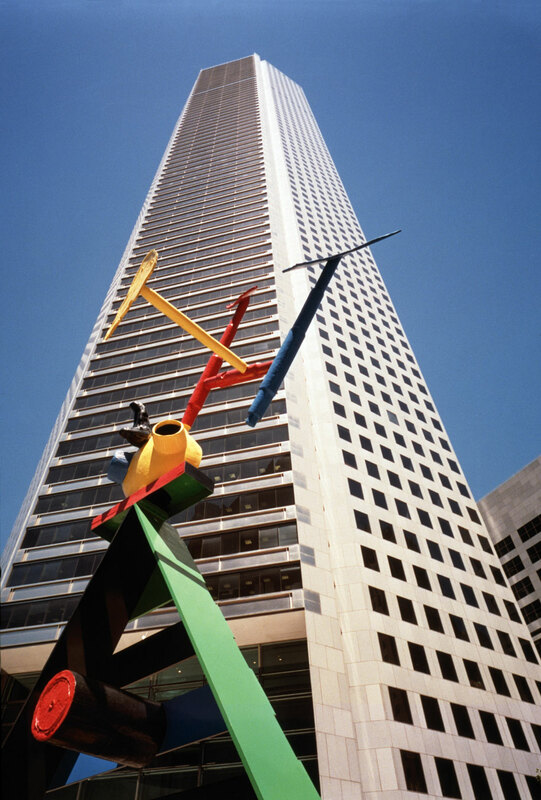 Completed in 1982 and Houston's tallest building, JPMorgan Chase Tower (also known as 600 Travis) is a 75-story, 1.7 million-square-foot, five-sided office tower clad in pale gray polished granite. The development includes a 15,000-square-foot granite-paved pedestrian plaza at the entrance, a private sky lobby on the 60th floor and 22,237 square feet of retail space. 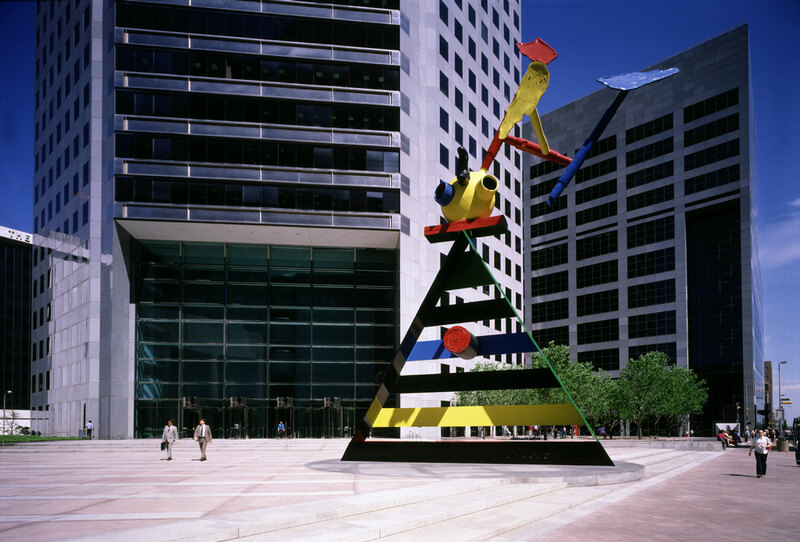 The focal point of the plaza is a monumental sculpture by Joan Miró entitled "Personage and Birds." The sculpture is the largest Miró sculpture ever commissioned.